Figure 1: Low-e coatings on approved glass surfaces. A building’s window-to-wall ratio is determined by dividing the total glazed area of a building by its exterior envelope wall area. This number is significant as it affects the energy performance of a building. While more windows or glass on a structure mean more daylight, choosing this material may also place extra loads on an HVAC system as it has to work harder to maintain an even temperature in cold or warm weather. To ensure a building performs as needed, an architect or design team may source and specify glass with a coating that is intended to keep a building cooler or warmer, depending on the climate. When specifying glass and coatings, the architect will take into account a window’s U-factor (i.e. U-value), the measure of heat gain or loss because of a difference in temperature, the solar heat gain coefficient (SHGC), how much of the sun’s energy hitting the window is transferred as heat, and the visible transmittance of glass measuring the amount of light coming through the glass. Yet, selecting a top-performing low-e coating does not mean that an architect should eliminate a certain design vision to obtain the right performance. 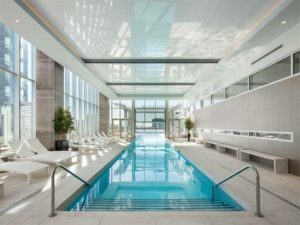 In fact, Canada’s focus on sustainable design and push for the Zero Carbon Energy Standard has motivated architects to source products combining esthetics with the required performance. To achieve performance goals, low-e coatings can be placed on specific glass surfaces in an IGU. An IGU is comprised of two or more panes of flat glass (glass lites) separated by a spacer material and sealed at the edges (also known as a full-perimeter seal). Commonly, the end result is also known as double- or triple-glazing. The glass in these lites can be clear, low-e, reflective, tinted, or decorative, depending on the performance requirements, and can also be heat-strengthened, tempered, or laminated. The space between the lites is filled with dehydrated air and/or a noble gas (generally argon or krypton). The addition of this gas can help enhance the unit’s insulating properties. IGUs can be designed to enhance solar and acoustical control, ultraviolet (UV) light screening, and security among other purposes. Buildings in urban centres tend to be glass-heavy in design as occupants want ample light and a feeling of more space. In a double-glazed IGU, there are four surfaces being treated with a low-e coating to enhance the window’s performance or to help regulate temperature and solar transmission (Figure 1). Different coatings are selected depending on the desired function. To protect the integrity of the coating, ‘soft coat’ low-e products, or those applied off the float line to precut glass in vacuum chambers via magnetron sputter vacuum deposition (MSVD), must be installed in the second or third position in a double-glazed unit and in the fourth or fifth position in a triple-glazed unit. The low-e coating on the glass in the second or third interior positions, facing into the cavity, reduces the amount of radiated heat transfer between the two or three panes, depending on whether it is a double- or triple-glazed unit. The U-value is not affected by applying the coating on the second or third surfaces. However, placing the low-e coating on only the second surface will reduce solar heat gain and, by extension, cooling costs. Fourth-surface technology is one way to make glass windows perform more efficiently. Combined with the use of select coatings, this technology can deliver the required performance. It is achieved by adding a low-e coating to the second and fourth surfaces of an IGU. Additionally, fourth-surface technology enhances the glass performance by achieving a lower U-value. The coating on the second surface will reflect solar energy to the outside when the sun is shining. Essentially, this is a new application of existing technology that can combine glass coatings using different products to achieve higher performance and overall energy efficiency in a building. During cold conditions, the coating on the fourth surface will reflect energy back into the room. This reduces the amount of energy transferred across the airspace, thereby improving the overall insulating properties of the glass by an additional 15 to 20 per cent versus a conventional low-e unit. Some glass manufacturers are able to work closely with design teams to help them achieve their vision, their ‘signature,’ for the building, while ensuring the selected glass enables a building to optimally perform. This has become increasingly important in cities like Toronto or Montréal where there is high demand for housing and new construction. A tinted, grey glass with low-emissivity (low-e) coating was employed for the dark component of the L’Avenue building. The glass on the clear glazing section is suitable for high-rises as the solar heat gain co-efficient (SHGC) is only 0.42. 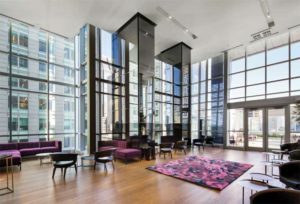 The L’Avenue apartments project in Montréal is one example of how glass was used to achieve superior esthetics in a high-performing building. 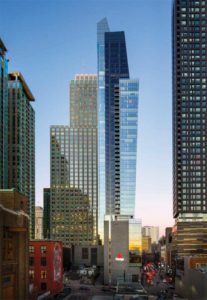 L’Avenue is a 50-storey residential tower with 304 units on a mixed-use podium including commercial office spaces, retail, café, and a grocery store. The residential amenities are located on the ninth floor, the first tower floor. L’Avenue is a significant development for the Montréal skyline and the downtown area itself. The structure is the sixth tallest in the city. It features glazed curtain walls in both clear and dark glass, and some apartments with balconies have glass railings. Since glass played a significant part in the building design, it was imperative it was energy efficient as well as attractive. The materials chosen for this building complement and enhance its formal composition. For the dark component of the tower, a tinted, grey glass with a low-e coating was employed. The glass used for the structure’s clear glazing section is, in this author’s experience, adept at blocking solar rays. These two types of glass helped achieve the contrast the project team was looking for between the tower’s three sculptural shafts. The energy-efficient clear glass at 6 mm (¼ in.) thickness was used over 32,191 m2 (346,500 sf) of the structure. It is suitable for high-rise buildings as SHGC is only 0.42. It is an effective solar blocker, meaning the apartments will not overheat and cool efficiently in the summer months. This particular coating on the glass brings light into the building, yet is moderately reflective. Esthetically, it has a neutral appearance, enabling a subtler building profile even with all the glass used, and subsequently, compliments the diverse architecture of Montréal. With the increasing need for buildings to conserve energy while still looking attractive and innovative, the focus on performance becomes more important. Caliman has observed a deeper focus on creating better-performing envelopes using glass. In fact, the city is offering a refund incentive. If the building is certified Tier 2 or above, according to TGS, the city offers a refund of up to 20 per cent of development costs to the owner, who typically receive this amount six months after occupancy. 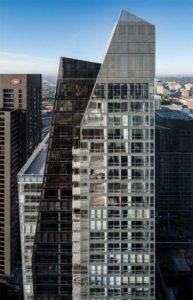 The coating employed on the glazed curtain wall of the L’Avenue tower glass brings light into the building and is also moderately reflective. Similar initiatives are in place around the country. In Alberta, the government invested $2 million to improve energy efficiency and conservation programs for the Municipal Climate Change Action Centre (MCCAC), helmed by local authorities. MCCAC offers technical assistance, support, and funding to reduce GHG emissions. The Better Buildings British Columbia initiative supports and promotes the design and construction of net zero energy ready buildings. It offers incentives to multifamily, commercial, and institutional building developers and owners whose structures are designed to achieve the top tier of the BC Energy Step Code. Led by SaskEnergy, the Commercial HVAC program supports the use and installation of high-performance, energy-efficient, Energy Star-certified natural gas furnaces, boilers, rooftop units, and infrared radiant heaters in new commercial and retrofit applications. Just like the TGS program, the Power Smart Commercial Building Envelope Program in Manitoba offers financial incentives to building owners who aim to increase the thermal efficiency of their properties. 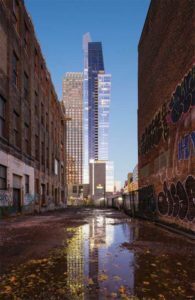 This can involve improving insulation across the building envelope, installing energy-efficient windows, and utilizing high-performing glazing systems for curtain walls. In Québec, two significant programs are promoting all-building energy conservation. ÉcoPerformance is designed to reduce consumption of resources and the amount of GHG emissions through funding initiatives actively working to achieve just that. Financial assistance is also available via Novoclimat. It provides builders of newly constructed or renovated private (condominiums or dwelling units) buildings or social housing with funding to increase the structure’s energy efficiency. As cities, provinces, and the federal government work to reduce emissions, the way forward involves a great deal of collaboration from all parties to ensure glass structures are as energy efficient as possible, while still making a significant design statement in their immediate environment. 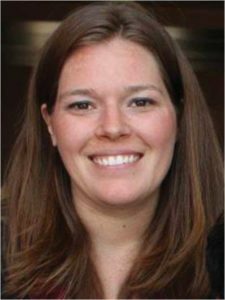 Elizabeth Cotton is product manager, interior and specialty products, AGC Glass North America. She is responsible for managing the North American product portfolio and developing/maintaining the roadmap for interior decorative glass products. Cotton is the vice-chair of the Glass Material Council Marketing Committee for the American Architectural Manufacturers Association (AAMA). Cotton also chairs several task groups to represent glass manufacturers in the United States. She holds a bachelor’s degree in mechanical engineering and a master’s of business administration from the University of Toledo. Cotton can be reached via e-mail at elizabeth.cotton@us.agc.com.